Today’s lives are hectic, filled with appointments, meetings, events and activities. Fitting a dental appointment into the mix can seem like a daunting task. If you have a dental emergency, everything flies out the window in order to get to the dentist as soon as possible for dental care treatments. Unfortunately, not all dental offices have same day dentistry, but Aesthetic & Implant Dentistry of Atlanta does. We understand how demanding some schedules can be. For certain workers, scheduling an appointment can be problematic. This is where same day dentistry can be helpful. 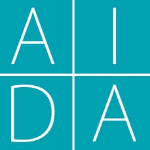 When you find yourself in a bind and need dental care, AIDA may be able to meet your need. Each day we allow a certain amount of time for dental emergencies and patients who need to have the dental treatments on the same day they schedule an appointment. While these appointments are not guaranteed because of demand, we work to accommodate same day patients whenever we can. Dental emergency patients are seen as soon as possible to minimize or eliminate pain and discomfort. We provide a relaxed and caring environment that helps reduce the anxiety caused by dental trauma. Local anesthesia or nitrous oxide can be administered to reduce discomfort, and treatment is delivered as soon as possible. For patients who have unexpected dental issues, same day appointments are a great benefit. Call us to find out if we have an opening. These special appointments are offered on a first come, first served basis. If you have a dental issue that can’t wait or your schedule is such that you need to make dental appointments on the spur of the moment, contact Aesthetic & Implant Dentistry of Atlanta today. We will see what we can do to accommodate you.